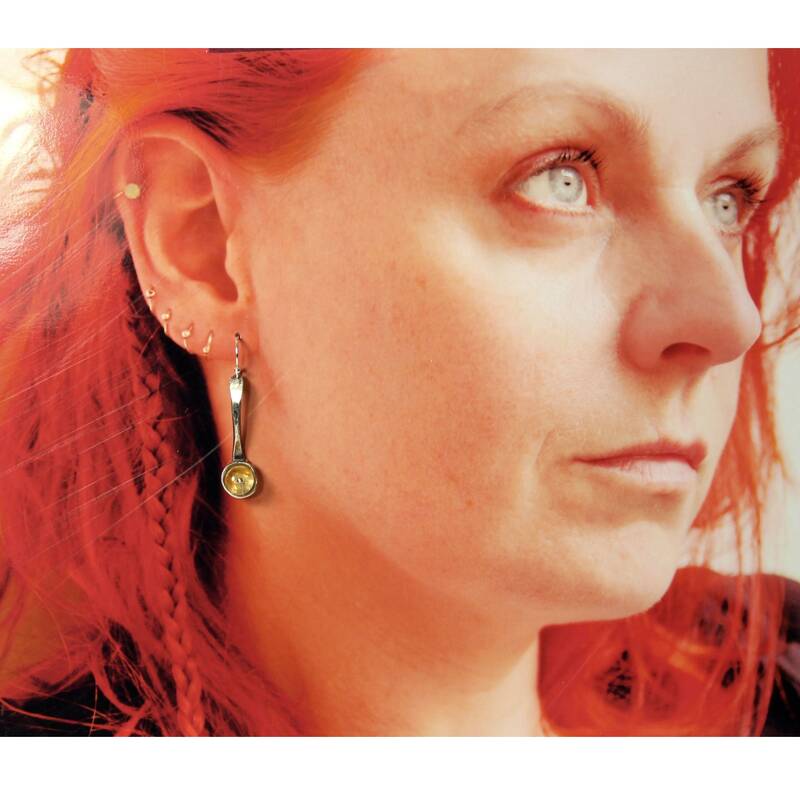 Fun and rustic curved dangle earrings with ball rivets and organically shaped pods. 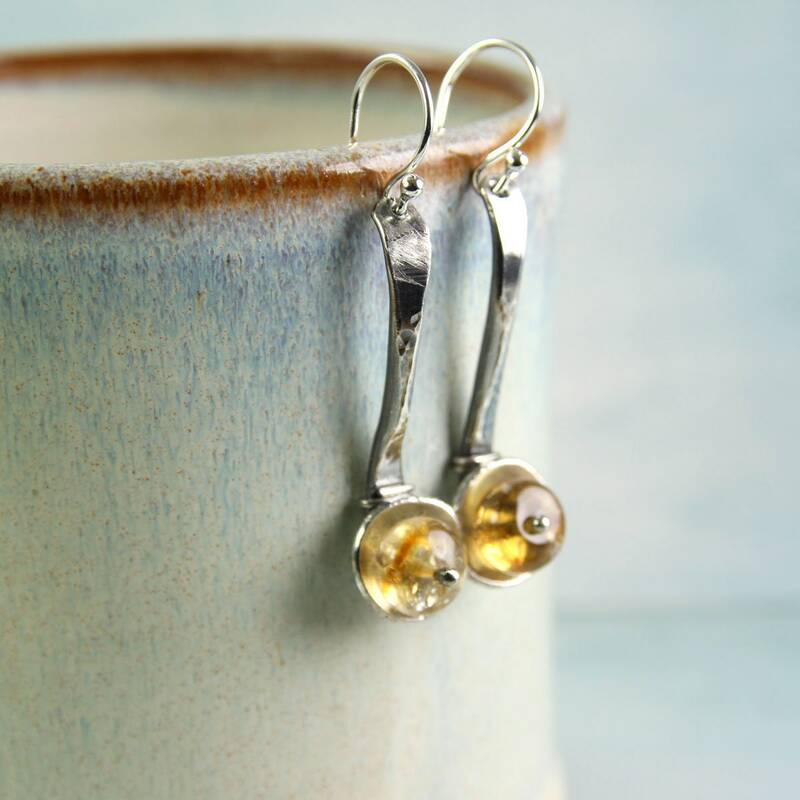 Nestled in the cups are citrine rondelle beads with a lovely quartz translucency and colours from white to dark gold. 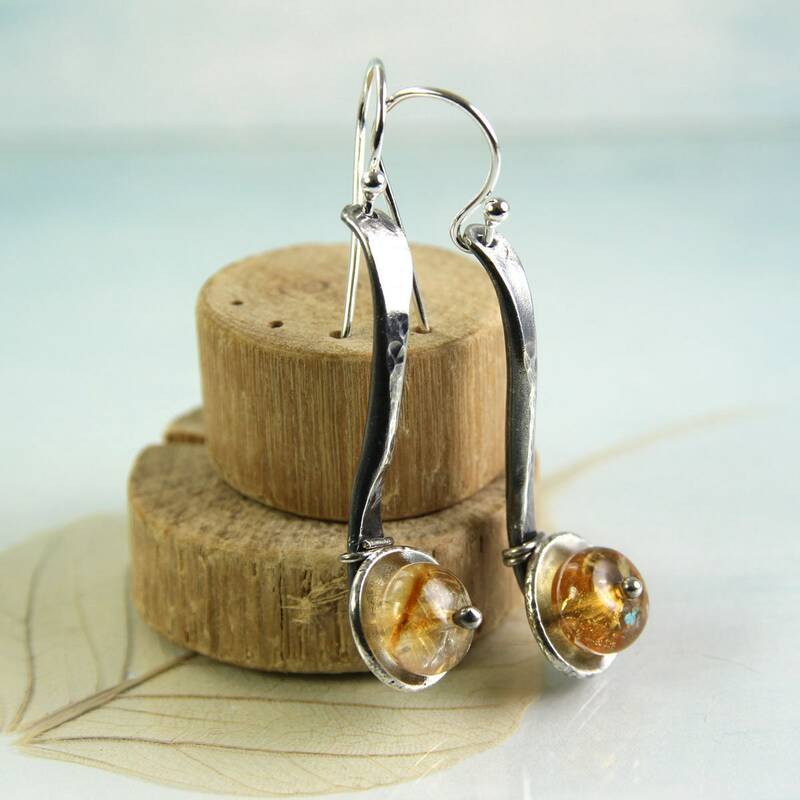 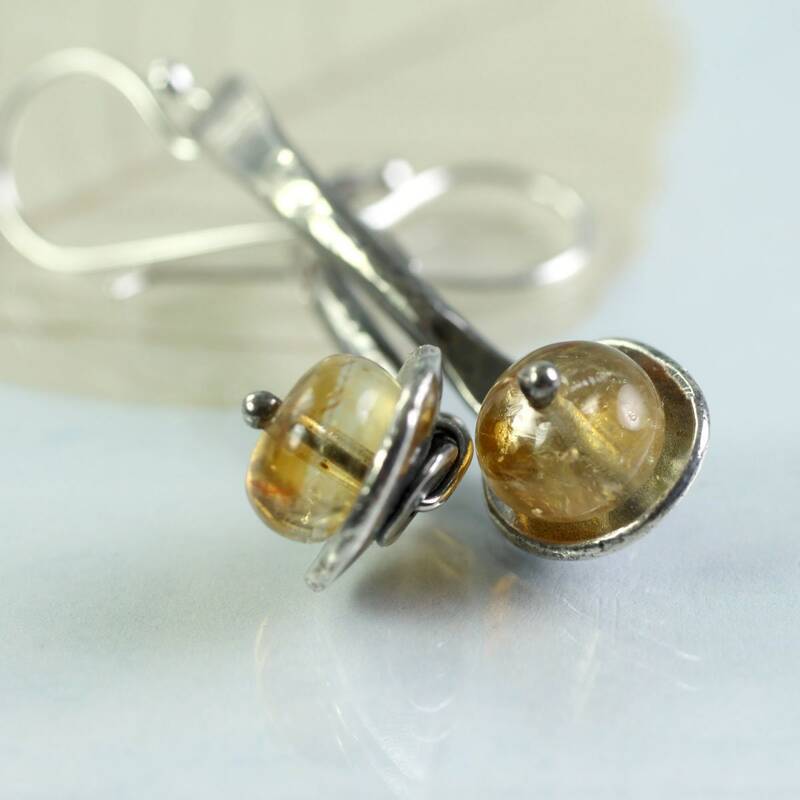 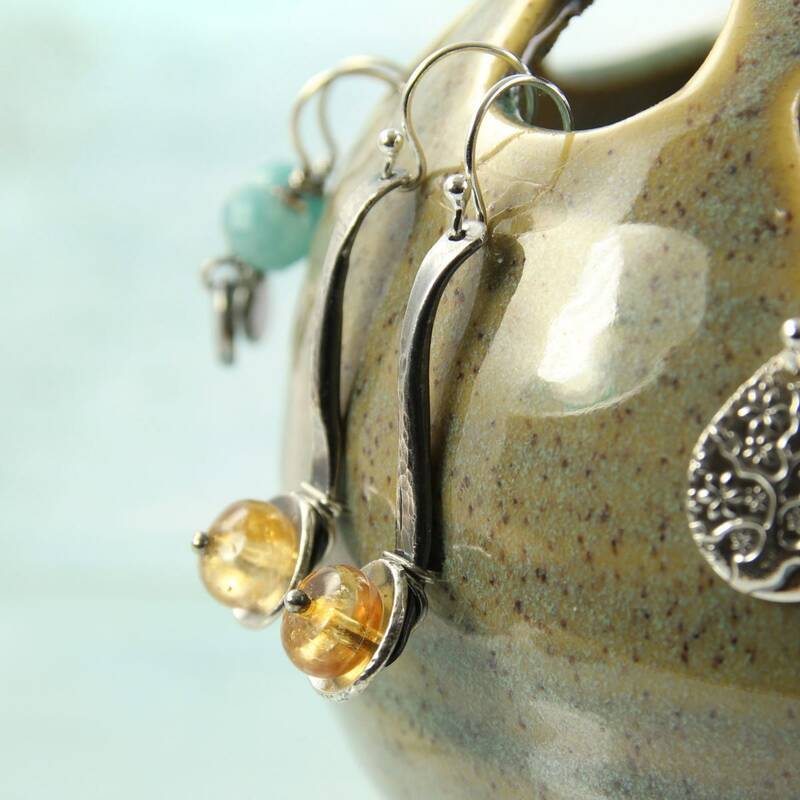 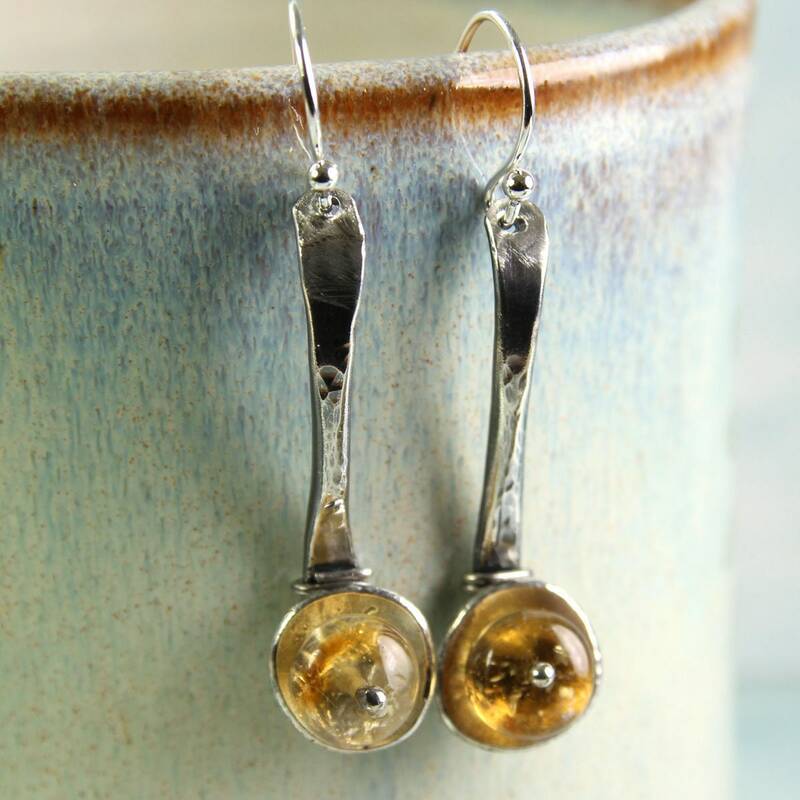 The pods are re-melted silver flattened and domed into bowls and the stems are hammered and bent into an elegant s shape, then drilled open to receive the citrine gemstones. 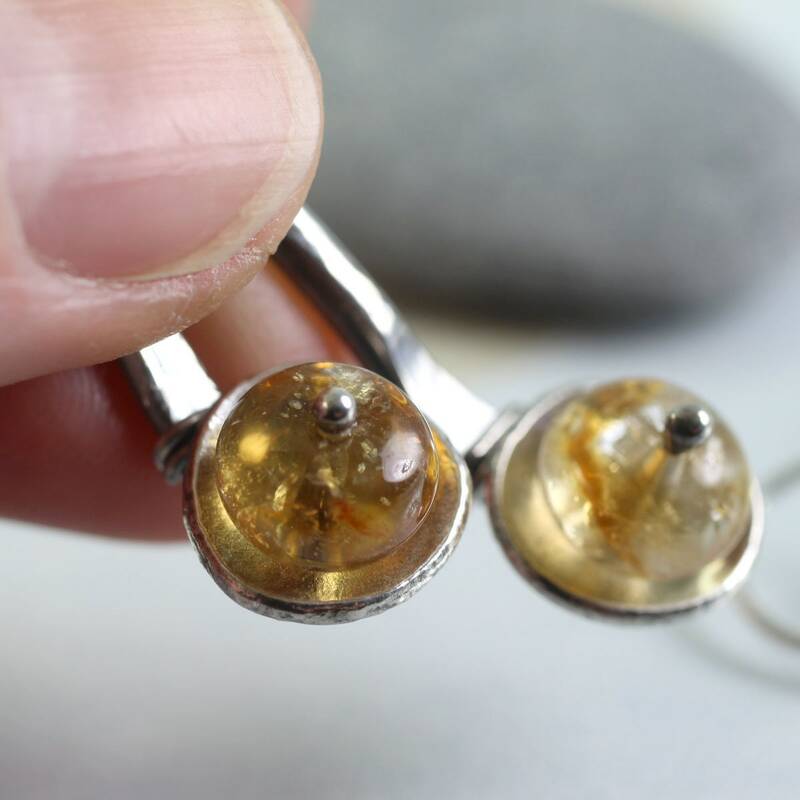 The citrine beads are about 8 mm in diameter. 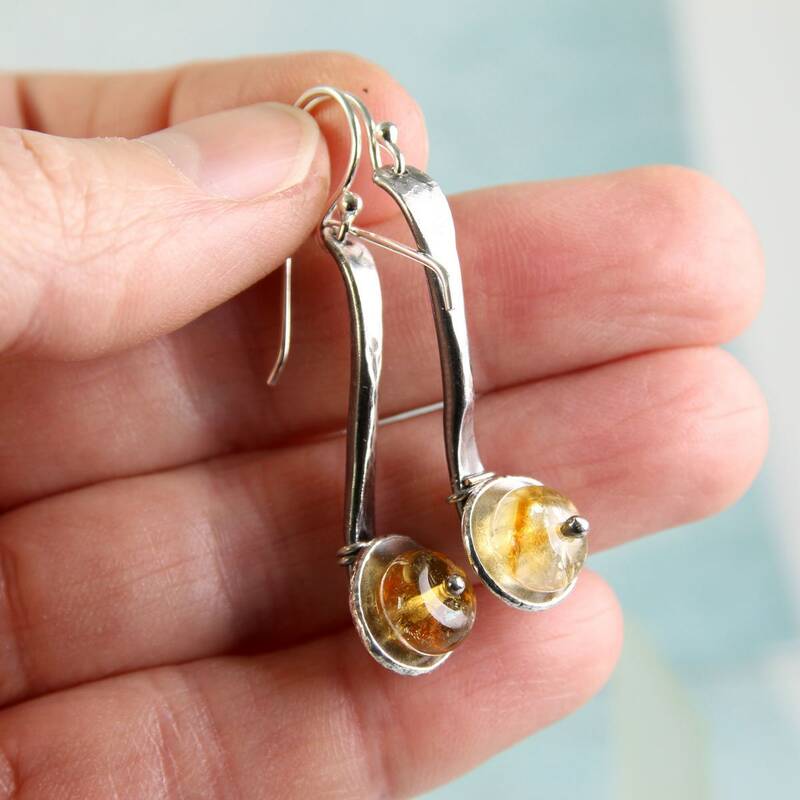 Citrine is one of November's birthstones. 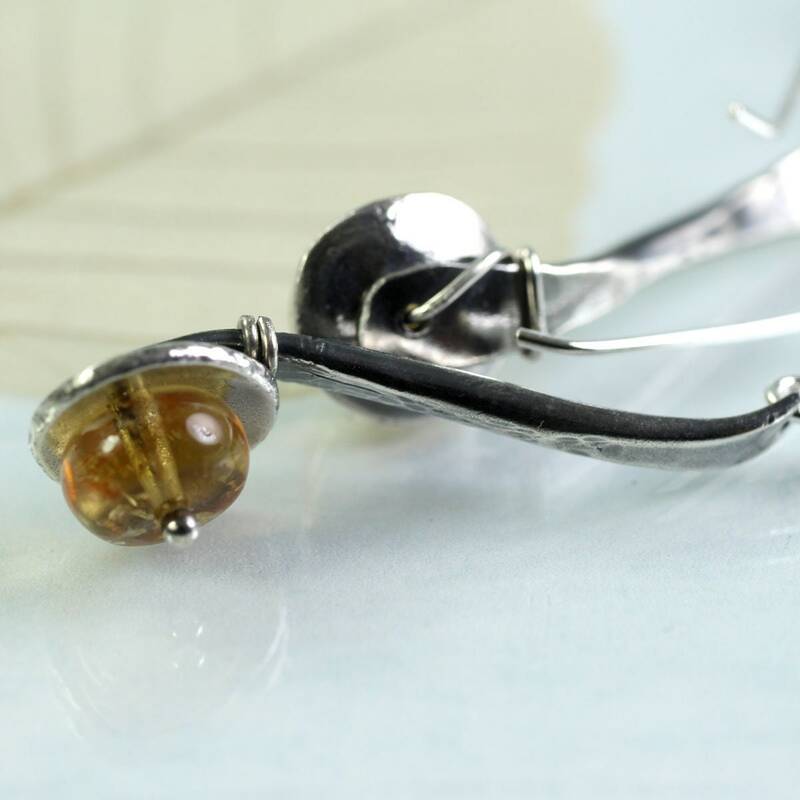 The whole earring measures about 35 mm - 1.25 inches long - plus the ear wire in sterling silver. 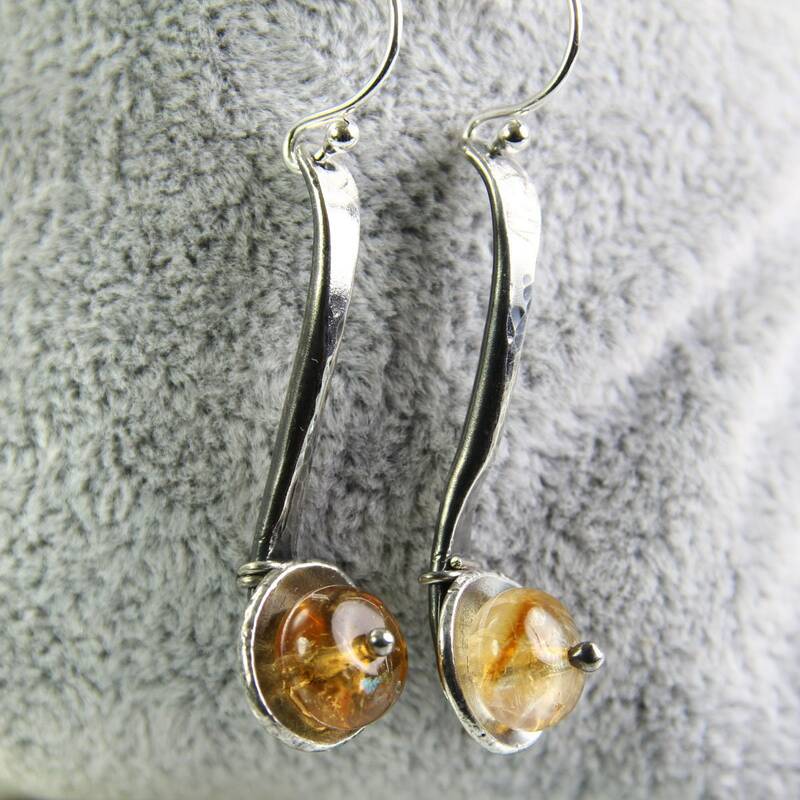 * Length with ear wire - 46mm / 2"
* Length of dangle 35 mm / 1.25"